The above article from Alimentary Pharmacology & Therapeutics, published online on 31 July 2015 on Wiley Online Library (wileyonlinelibrary.com), and in Volume 42, pp. 845‐854, has been retracted by agreement between the authors, J. Sun, C. Yang, H. Zhao, P. Zheng, J. Wilkinson, B. Ng and Y. Yuan, the journal Editors in Chief, J. M. Rhodes and C. W. Howden, and John Wiley Sons Ltd. The retraction has been agreed upon following major protocol deviations at some study sites and several instances of non‐compliance that are sufficiently serious to warrant the withdrawal of the Chinese New Drug Application for Gaviscon Double Action. The trial is registered on ClinicalTrials.gov. The entry says the study, which enrolled 1,107 patients, began in June 2013 and ended in May 2014. Colin Howden, a co-editor of the journal, told us that the publication first learned about problems with the study in January 2018. The initial request for retraction came from the sponsoring company and was then backed up by a letter from all the authors. The request from the authors was received in April. We requested clarification on the problem with the study and all parties subsequently agreed to the retraction in September. The paper has been cited 17 times, according to Clarivate Analytics’ Web of Science. We contacted Reckitt Benckiser for comment but have yet to hear back. We also tried to reach Joanne Wilkinson, a company researcher and a co-author of the retracted paper, for comment. We haven’t seen any other retractions linked to this study. But we did find another publication involving some of the same researchers and what appears to be the same trial. 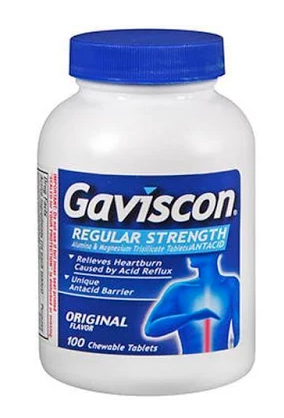 “Alginate antacid (Gaviscon DA) chewable tablets reduce esophageal acid exposure in Chinese patients with gastroesophageal reflux disease and heartburn symptoms” appeared in the Journal of Digestive Diseases from 2016. The editor of the journal did not immediately respond to a request for comment about whether he would review the article in light of the retraction. Sponsoring organization and all authors request retraction after discovering problems: not worthy of a “doing the right thing” tag? Authors from clinical sites wouldn’t have had much choice after sponsoring company realized that at least some of them deviated from their protocol. No fun in publishing that put puts it’s authors in doubt. If the issues are bad enough to stall its approval in China, should the drug’s US approval also be reconsidered? Why?? The study was done at clinical sites in China to get data for approval by Chinese FDA. The company did the right thing by withdrawing the application when they found out Chinese sites broke protocol. If there was sufficient data for it to be approved by the US FDA, why did they need to do more trials to be approved in China? Different counties have their own “FDAs” and their own requirements. It may have been necessary to get data in China to get approval from Chinese FDA. Formulations are not always the same in different countries. Indications may differ as well. After all, would you expect our FDA to approve a Chinese company’s drug because the Chinese FDA had approved it?